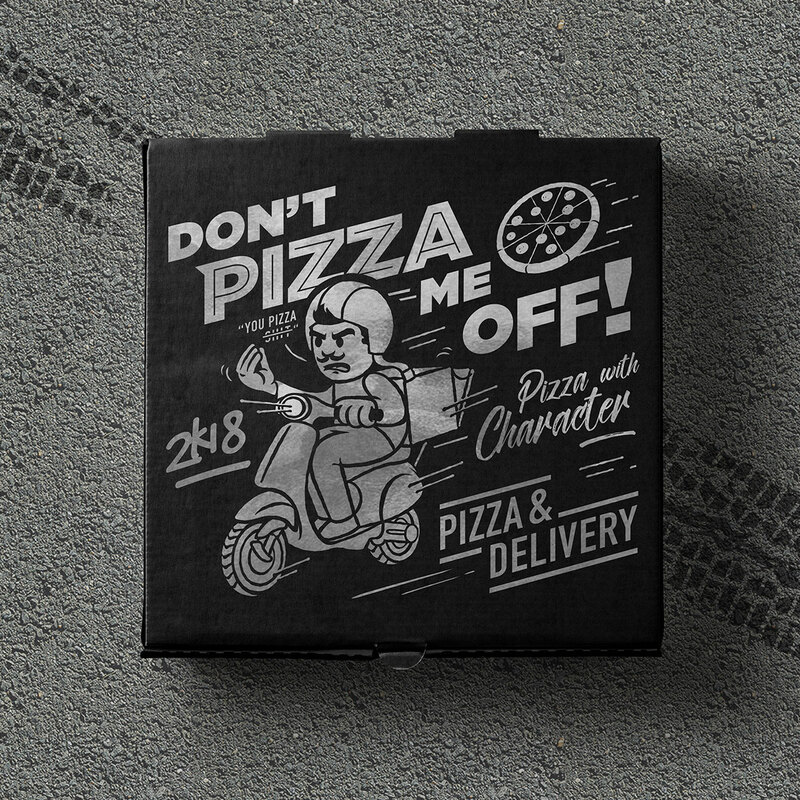 Great pizza meets humorous design with Don’t Pizza Me Off. This Dutch up and coming pizza place created a brand centered around “pizza with character.” They sought out a design that would put humor in the spotlight, while maintaining a clean and urban feel. 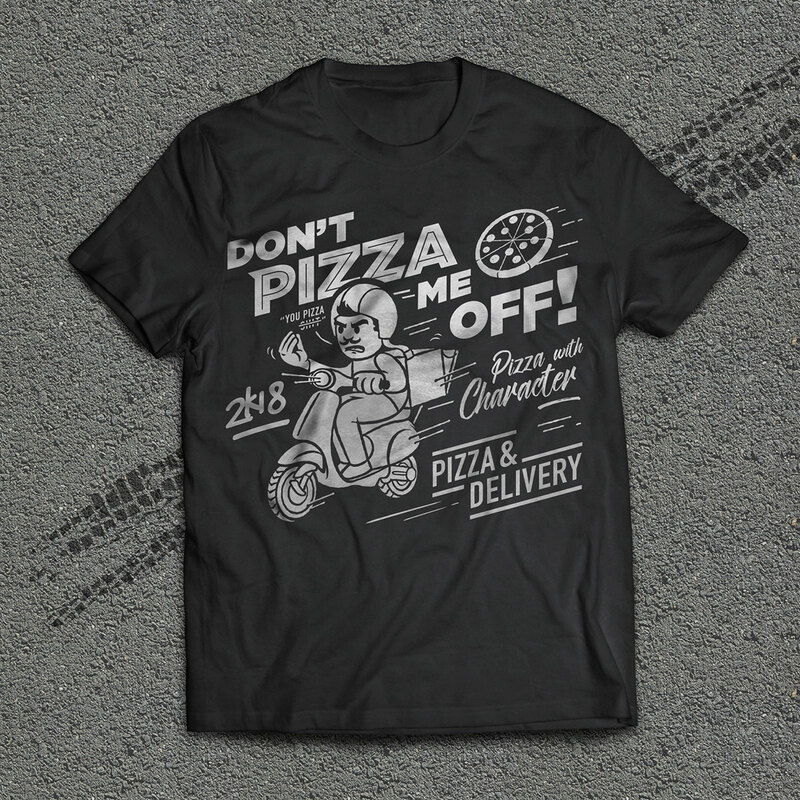 The design features an angry pizza delivery man, rushing towards his next delivery. Unbeknownst to him, a pizza flies behind him. The fun typography around the box sets the tone, without compromising the aesthetic. On the back of the box you’ll find a fun warning, “If you can read this, something went wrong with the delivery” which is sure to make clients laugh, even if their delivery has suffered a mistake. All in all, this fun design is sure to impress clients and has helped Don’t Pizza Me Off create a clear identity, and set themselves apart from their competitors. 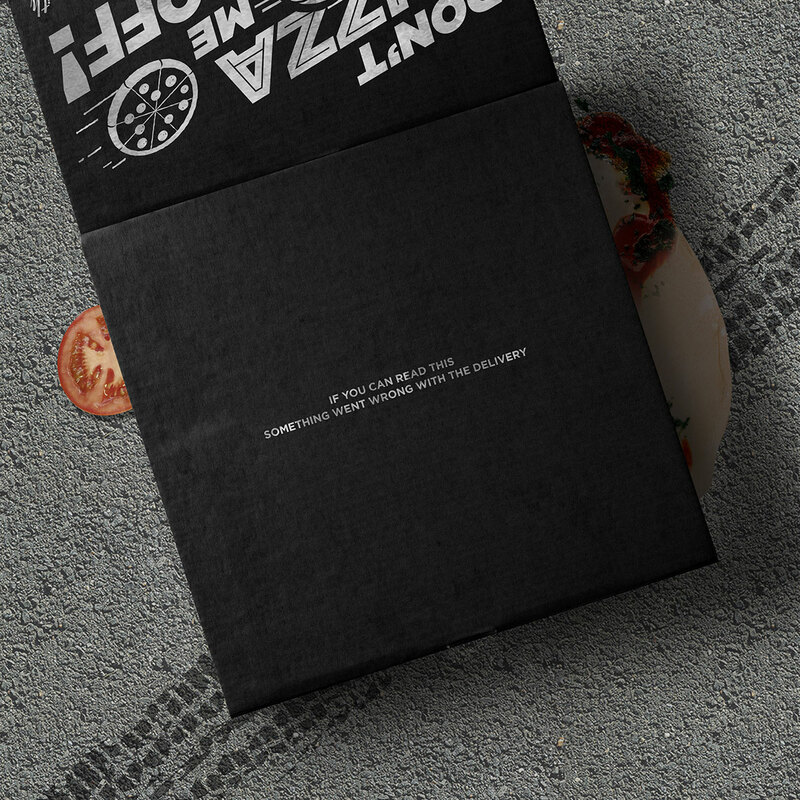 Never before has a pizza box told such an elaborate tale, or expressed such fun personality. 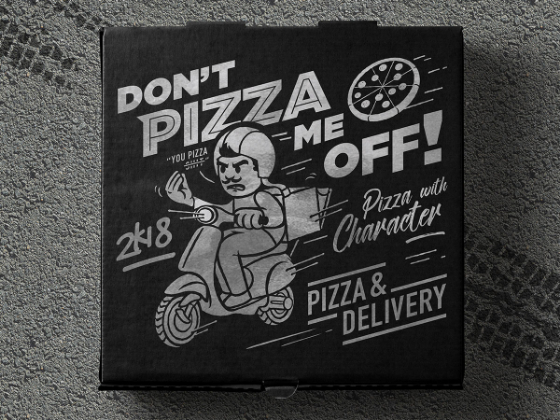 Don’t Pizza Me Off has played with people’s expectations of pizza box designs, and has had fun with the creation of their look. Their efforts have translated into an eye-catching design, that is sure to cause a stir.